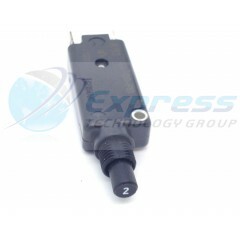 Express Technology Group is a worldwide industry leading distributor of ETA-USA parts. 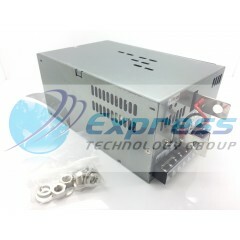 We carry all types of ETA-USA parts including AC/DC Converters, DC/DC Converters, External / Internal Power Supplies, and many more. You can use our global part search utility to check stock and request a quote online and a sales associate will contact you promptly. Our sales reps are here to help you with all your ETA-USA needs Monday through Friday, 8:30am to 6:00pm (EST) or call (631) 869-2035 for immediate assistance. push button circuitbreaker 250 vac 28 VDC E-T-A.. . . . Switching Power Supplies 600W 24V 27A.. . . .
ETA 2 Channel 30 Watt AC/DC ConverterManufacturer:ETA-USAProduct Category:Switching Power SuppliesRoHS:In TransitionBrand:ETA-USAProduct:Switching SuppliesOutput Voltage-Channel 1:24 VDCOutput Voltage-Channel 2:5 VDCNumber of Outputs:2 OutputOutput Power:30 WOpen Frame/Enclosed:Open FrameInput Volta . . .